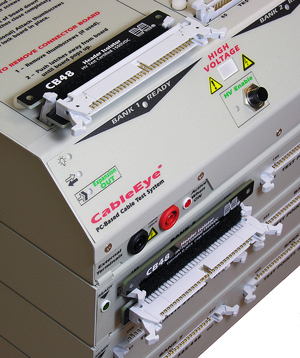 These boards fit the 64-pin headers on any CableEye tester, top deck or expansion module, and will protect the built-in connectors from broken pins and wear when attaching cables directly to the tester. Use the CB25A Riser Board on the control module or QuickMount Housing to achieve the same header isolation function when using CB Boards. Set of two boards. 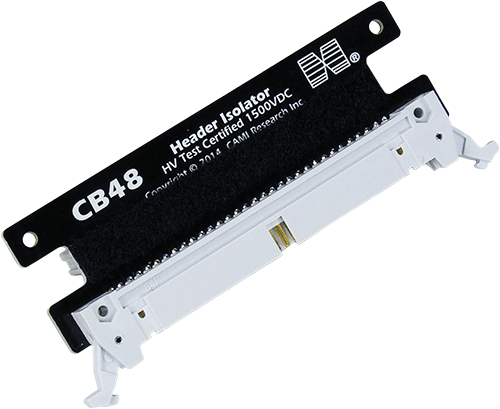 CB48A/B boards are certified for operation up to 1500Vdc and 1000Vac. 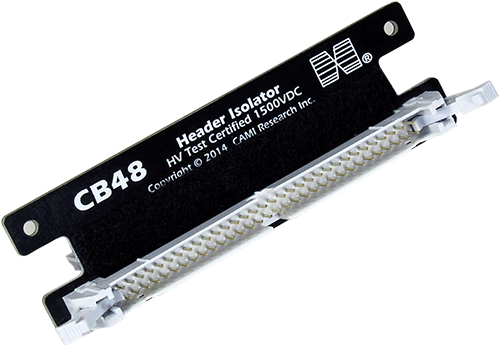 When performing resistance verification checks on your tester, we recommend using the CB48A Header Isolators to attach the verification board (Items 780/H) to your expansion modules. Shown installed on an HVX tester. Use on any CableEye model.